A suspense-filled thriller fuelled by a long-ago murder and a husband's nefarious ill-will towards his new wife, Gaslight has an enjoyably sinister plot, a haunting examination of emotional turmoil, and slick black and white execution. Paula Alquist (Ingrid Bergman) was a young girl when her aunt Alice was murdered in their London townhouse. Alice was a world-renowned opera singer, and Paula had the misfortune of discovering the body. The murder case was never solved. Many years later, Paula is living in Rome where she meets and falls in love with the suave pianist Gregory Anton (Charles Boyer). They get married and move back to London, living again in the townhouse where the murder occurred. Gregory is not all that he seems to be, and he starts to mentally abuse Paula into thinking that she is losing her mind. He manipulates her into believing that her memory is failing, that she is quick to lose precious items, and that she irrationally moves objects around the house. He forbids her to see other people, and every night when Paula is left alone in the foreboding townhouse, the intensity of the gaslight is mysteriously dimmed and she starts to hear baffling noises from the attic. Family friend Brian Cameron (Joseph Cotton), now a police detective, is intrigued by Paula's return to London, and starts to investigate the circumstances around the unsolved Alice murder. 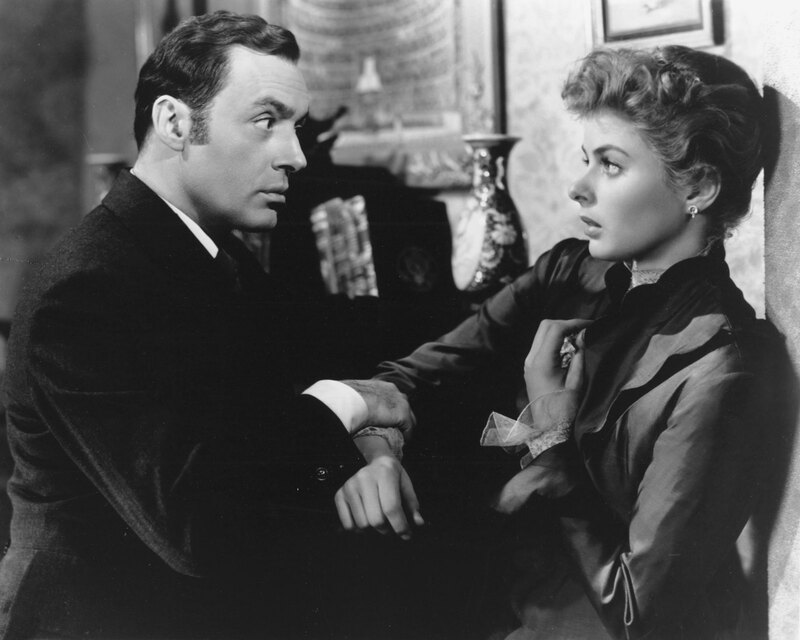 For performance filled with the fragility brought upon by self-doubt, Ingrid Bergman won her first Best Actress Academy Award for Gaslight. Paula is caught between the horrors of the past, her current love for new husband Gregory, and the race between doubting her sanity and her unwanted suspicion that Gregory may be behind her apparent descent into madness. Bergman dominates with tenderness and vulnerability, fighting but softly, objecting submissively, and taking stands meekly, Gregory knocking her two steps backwards whenever she tries to take one step forward. Boyer plays Gregory as dripping with questionable intent, a man with the dangerous combination of romantic charm, sophisticated taste, and cold-hearted plotting. Gregory stays just behind the line of overt hostility, convincing Paula that she is losing her sanity while staying for the longest time on her good side as husband and protector. A close examination of the screenplay (based on an original play) would result in questions regarding the efficiencies of Gregory's methods (could he have achieved his objectives using less complex means), but with the story's main selected thrust of control by implied insanity, Boyer is irresistible. Joseph Cotten is relatively bland in the relatively underdeveloped role of Brian Cameron, too astute as a hero and deploying impeccable timing to provide help on exactly the pivotal evening. More interesting is a sassy Angela Lansbury, making her debut as Nancy, the outspoken and flirtatious maid adding agony to Paula's life and tension to the surrounding neighbourhood. Lansbury received a Best Actress Academy Award nomination for her efforts. Director George Cukor makes excellent use of the spooky multi-level London townhouse that effectively becomes Paula's prison, the narrow staircase and many dark corners providing plenty of opportunities for a base level of delicious creepiness. 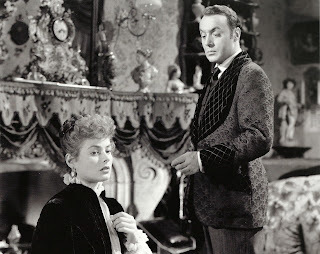 The gaslight intended to provide illumination serves mostly to throw shadows in all directions, and Cukor delights in revealing what is needed and hiding all else for the pure pleasure of adding tension. 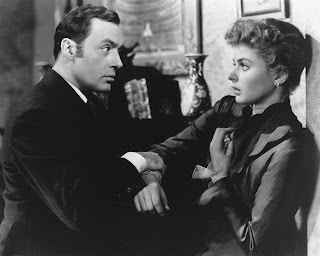 Gaslight keeps the tension simmering, a quality psychological drama of creeping darkness in the house and in the mind.